Good bookkeeping is like good housekeeping, stay on top of it and it isn't a daunting task. We try to encourage our clients to take an interest in the financial side of their business. It is very important to stay in touch with business performance, and through good bookkeeping we can advise clients how to keep track of their finances. 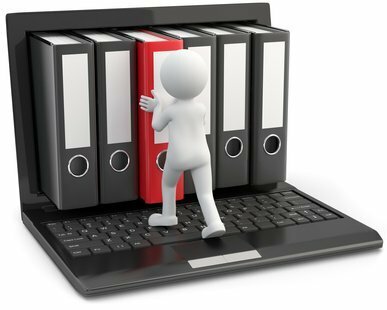 We recommend a variety of ways for clients to keep their books, dependent on their business size, type and the specific circumstances of the client. We are able to offer a competitive service keeping all of a client's books for them, or regular checking, or anything in between. H M Revenue and Customs set basic standards of bookkeeping that they expect tax payers to uphold. We can assist you with this and advise you on your current record keeping. We will happily discuss your bookkeeping requirements free of charge, new clients and old alike. If we get you keeping good books it makes our job at the end of the year easier. Nearly all businesses are required to prepare annual accounts, these are required in order to prepare your tax returns. These are also used by other organisations, e.g. banks, financial institutions, customs and excise, national insurance etc. They will also provide the business with information concerning the financial performance of the business. This helps business people to see how their business is progressing. We provide a comprehensive payroll service for our clients. Again this is tailored to specific clients needs. We can deal with time-sheets, salary calculations, processing of wages and pay slips, dealing with starters and leavers and of course, dealing with the year and advice on auto enrolment. We provide an efficient VAT service which includes VAT planning and registration, use of the most appropriate scheme, VAT control and reconciliation, completion of VAT returns, review Vat returns, negotiating with HMRC in disputes.